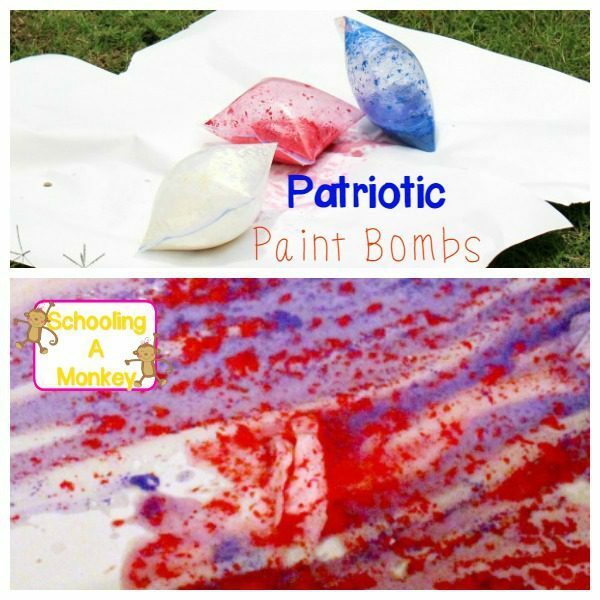 When it comes to patriotic activities for kids, we’ve tried a lot of fun ideas! 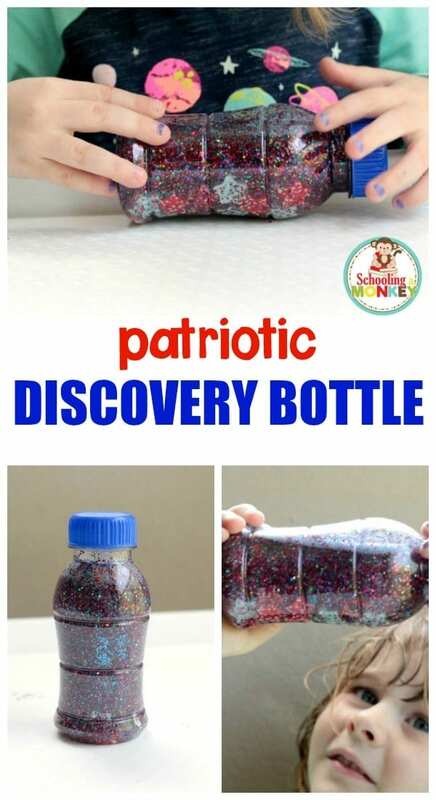 Our latest patriotic activity is a patriotic discovery bottle. 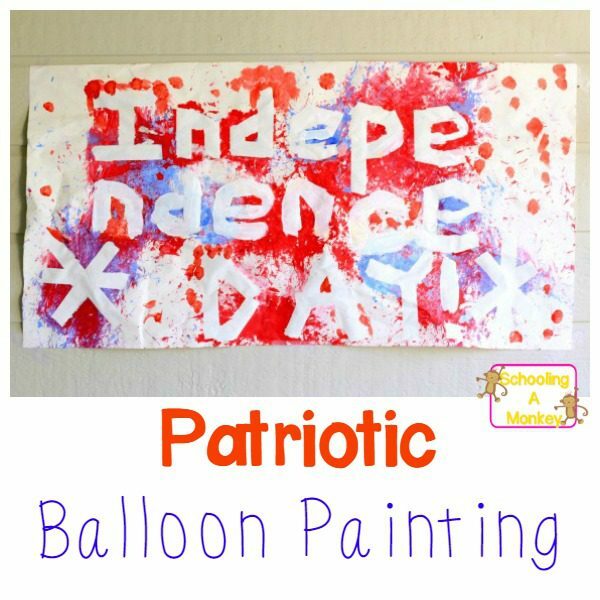 I came up with this idea when my preschooler was afraid of the fireworks. The discovery bottle is calming and contains nothing that is unsafe for kids to touch and handle. Young kids who are too little for sparklers and other firecrackers will love celebrating with this discovery bottle instead. 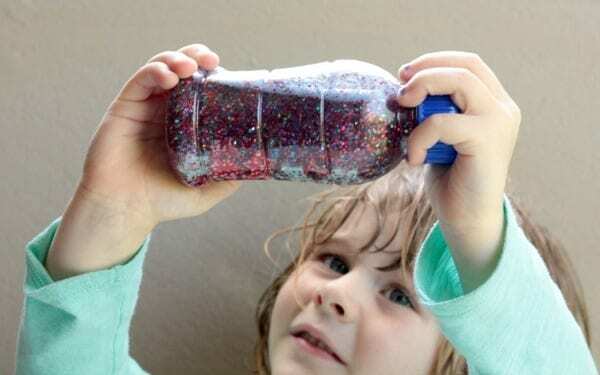 Even if your kids are old enough for real fireworks, they will still enjoy watching the mesmerizing fall of the glitter in this fun sensory bottle! 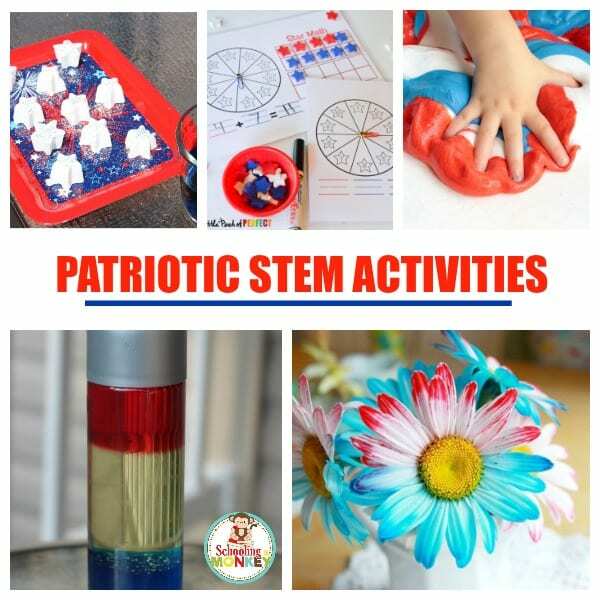 You’ll also want to check out out summer STEM activities and summer science experiments! 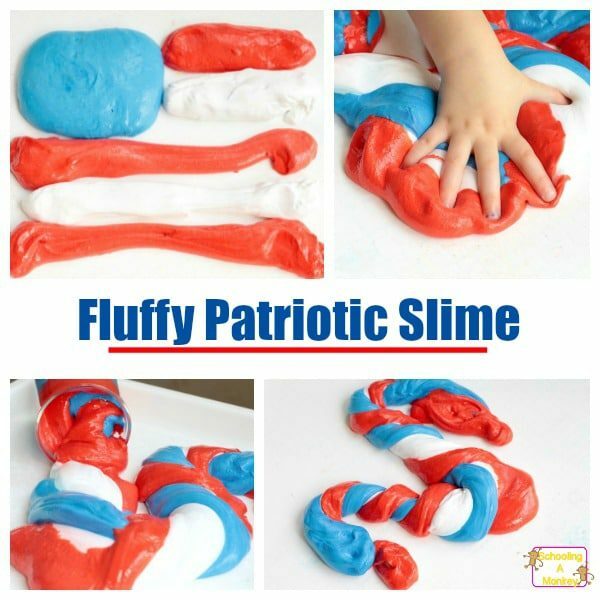 Follow these directions to make your very own patriotic discovery bottle for little patriots! Fill your bottle about half way with corn syrup and the rest full of water. 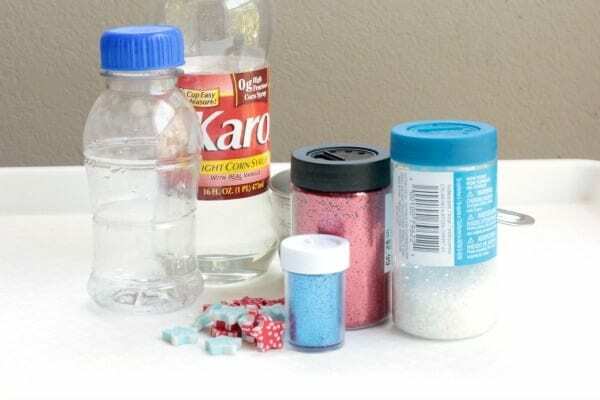 The more corn syrup you put in, the slower the glitter will fall. Put the lid on and shake it all up. 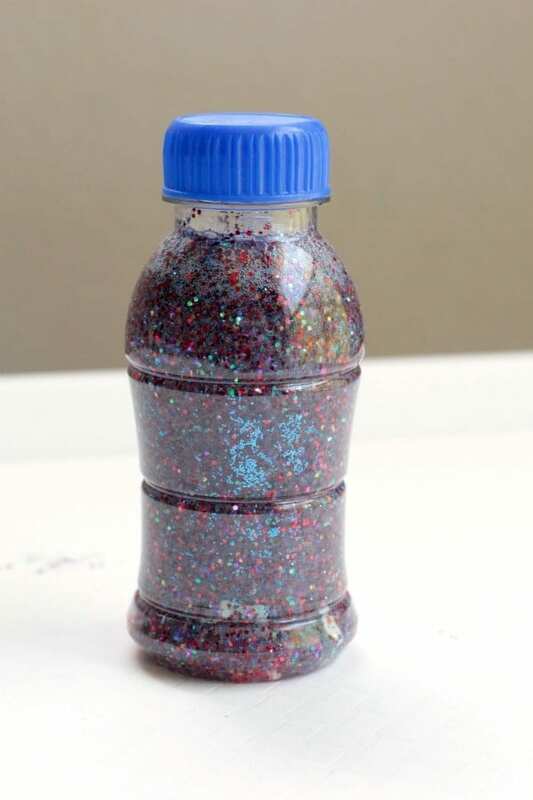 Add a bunch of red, silver, and blue glitter. Add less blue glitter than the other colors as it tends to dominate for some reason. Drop in some star erasers. Add a bit of dish soap to the top of the bottle. This encourages the glitter to sink rather than sit on the surface of the water. Add a bit of glue to the brim of the cap and screw it on tightly. Make sure the glue is dry before giving it to your little ones to play with so they don’t spill sticky glitter everywhere. 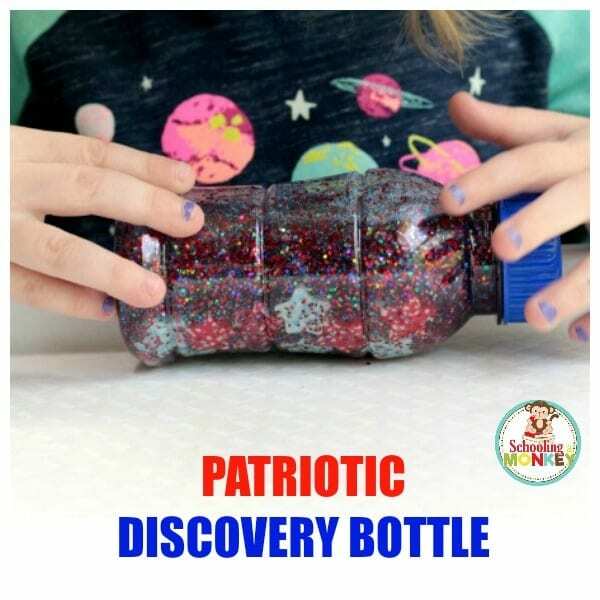 Watch the patriotic discovery bottle in action!